The main waiting area has hot and cold drinks facilities, visitor toilet, and a telephone point to phone into the Intensive Care wards. There are more extensive refreshment facilities in the main hospital. The Inner Courtyard Garden provides a quiet spot outside. Take the lift or stairs down to the garden on level 3 of the main building. The main automatic doors open out on the left and there is restricted entry for relatives of patients in the ICU on the right. These doors are opened by a swipe card which you can get from the nurse. Please return it as soon as you come back inside. 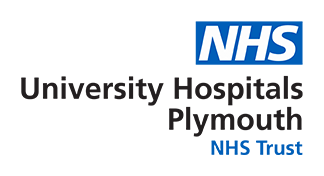 Please remember that the garden is a no smoking area, as is the whole of the Derriford Hospital site. Smoking is not permitted anywhere within the hospital grounds. The Lodge is a charity-owned establishment near the hospital offering bed and breakfast at reasonable prices to relatives. It is situated a few minutes walk from the hospital and offers a complementary bus service which is booked through The Lodge reception. For more information visit The Lodge website.